“Develop an attitude of gratitude, and give thanks for everything that happens to you, knowing that every step forward is a step toward achieving something bigger and better than your current situation.” ~ Brian Tracy. That is one of my favorites quotes of Gratitude. If you are still struggling to achieve network marketing success learn to develop an attitude of gratitude. It’s the biggest and simplest secret that most network marketers miss. When is the last time that you thanked someone for anything? I don’t mean when someone opens the door for you and you say thank you. I am talking about a true attitude of gratitude from your heart. When you connect with someone and tell them how much you appreciate them and acknowledge something they did. When you have lived with an attitude of gratitude, you will have a huge impact on other people. Being thankful and appreciative for everything in your life will also help you to have a more positive outlook. An attitude of gratitude will contribute your network marketing success but also help you be a better person. There is so much to be grateful for on a daily basis. It’s important that you take a moment and acknowledge what that is. When it comes to network marketing, having an attitude of gratitude can increase your bottom line significantly. So you can’t fake it! I see so many new network marketers achieve some success and just constantly brag about themselves, how many new people they recruited, or how many products they sold. I never hear them say how thankful they are for those customers or new recruits. Having an attitude of gratitude comes into play because without these customers and new team members, you would not be making any money. Be thankful for each and every one of these people, for they are ones helping you build your business! When you live with an attitude of gratitude in your heart, you will be thankful for even the smallest contribution from a person. Why? Because it’s important to meet people where they are in life and show appreciation for them. Being gracious to others in all situations can go a long way in your business. Have you ever been annoyed when a lead did not join your business or someone decided your product was not for them? Instead, be grateful that you were able to talk with that person and say something memorable to them. By showing an attitude of gratitude, you will be remembered by that person when they are ready to start a business or purchase a product. When you start living life with an attitude of gratitude, you find it easier to get through the down time that every business owner goes through. Even in hard times, it’s important to find something to be thankful for. You can even create a gratitude journal for yourself to reflect on when things are not going so well. Go thank someone today and mean it from your heart. Let your business team know how thankful you are that they are on this journey with you and complement them for even the smallest achievement. That is how you create leadership and loyalty on your team. Developing an attitude of gratitude will make you into the person that others want to work with and be around. 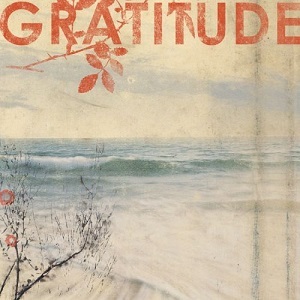 What are your thoughts about having an attitude of gratitude? Love your thoughts on this topic. Having an attitude of gratitude can also change your life as you begin to celebrate the smallest of things around you. Because of this habit of “celebrating”, you begin to cherish every thing in your life around you. One of the habits that are usually taught by a lot of leaders out there is to have a journal and write down a list of things that you are grateful for every single day. This will help you to open up your mind to more things that you can be more grateful with more practice. It is usually not easy for one to realize how much things that they can actually be grateful for until they start developing this habit.